Mobile Health Care Prescription Applications on the Rise? 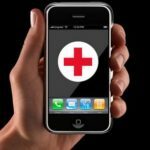 Mobile Health apps has been gaining momentum over the last few years, and especially in 2012, where according to one source, over 130 startup digital health companies raised over $2 million each in funding from VC’s and private investors. One of the major trends within start-up digital health companies is a growing sector of digital healthcare applications focusing on prescription reminders. Garland Systems’ Med Minder for Android, and RxMinder by the company of the same name for Apple OSx are among a growing number of offerings that have found a growing presence in the app market this past year. With other digital health companies on the rise, and other products finding their way into the medical and healthcare field from the high-tech world, we are optimistic that this new growth will inject even more innovation into the Health Care industry. What are your thoughts about this latest swing of digital companies coming into play? Let us know in the comments, below.